This is a rear view mirror for your computer! 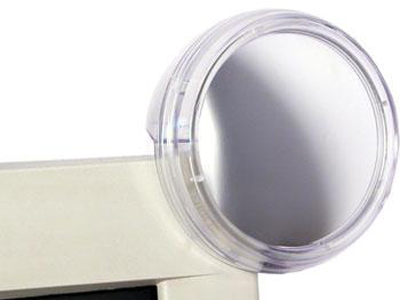 It attaches to the corner of your screen, where the convex mirror gives you a wide angle view of the room behind you. Never be surprised by the boss again!80mm diameter. Colours may vary. My fault, laptop screen lip v.small.